This past weekend hundreds of players from 13 states flocked to sunny San Diego, California, to compete in the 5th Annual West Coast Championships! With a tremendously deep field, filled with some of the country’s best talent, it was known well ahead of time just how competitive this event would be. Throughout the various tournaments the brackets produced winners via many familiar faces; however, an upset or two nobody saw coming would rock the final table of the Main Event. The Friday night $3,000 Kick-off Tournament started the West Coast Championships with a bang! 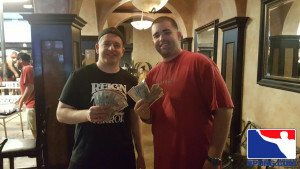 Arguably the best two players in the world (Ross Hampton (STL) & Brandon Marx (AZ)) came roaring out of the first-bracket of the double-bracket tournament to claim the first seat in the $3k Finals. Bracket two saw an upset in itself, as up-and-coming Florida ponger, Sven Anderson, and veteran ponger, Dante Yell, needed two straight wins against Brandon Marx and Brent Saale of St. Louis. They picked up the two W’s to secure their finals ticket. However, Marx and Hampton proved to be too much for Anderson/Yell, as the duo added to their impressive career earning totals. The ladies got in on the action and their hands on some cash, as $2000 was handed out to the top 3 teams in the $2,000 Co-Ed event at WCC. Brent Saale cashed out once again, this time, atop the field as he and Lauren Braley toppled Mark Pimentel and Roxanne Hudson. 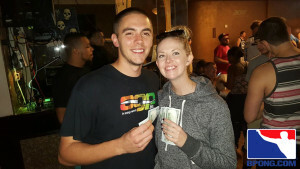 Ryan Smith and Brandi Wrathall reeled in a 3rd place finish to round out the cash winners. 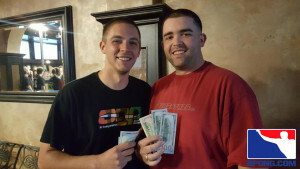 Smith had actually cashed out in the $3K with a 4th place finish as well. His stellar play in each event would foreshadow his eventual Main Event success. Before we reveal the Main Event winners, we’ll dig into the consolation bracket a little bit. This was a bracket offered to all the teams who were eliminated and placed anywhere from 33rd to 72nd. A consolation bracket is a breath of fresh air for the teams who get a 2nd chance after potentially having an off game or having an unfavorable schedule. 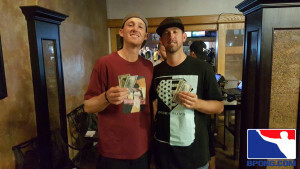 Former WSOBP Champion, Byron Findley came out atop the consolation bracket with his partner Hoss Kural and $500 in cash. The Main Event Finals saw one team that is no stranger to playing in the last game of an event. The duo has won many of those games and has fallen few. 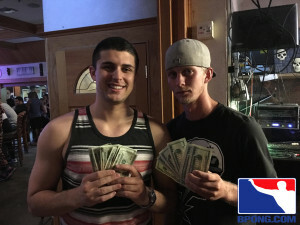 Though, one came on the biggest final table of them all at the World Series of Beer Pong IX, this squad is a heavy favorite to win any event they compete in. This team received some notoriety pre-event as they were picked to finish in the top 10. However, this team was still a heavy underdog heading into the final series. 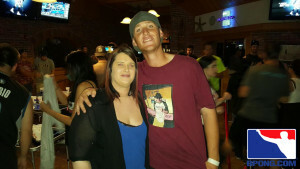 Ryan Smith, a relatively new player in the pro circuit stepped up to the challenge, as did Justin Spurrier. Spurrier, a veteran player out of Las Vegas, may finally get the national recognition he has long deserved after his role in slaying Blitzkrieg to take home the West Coast Championship’s Main Event! 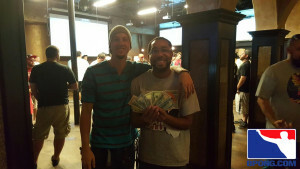 The 4th place team also pulled in $1,750 and 5th & 6th place earned $750 per team. 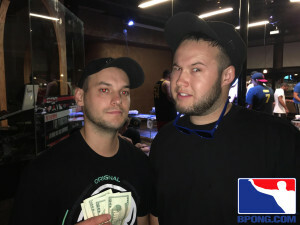 We here at BPONG want to send out our congratulations to all the players who placed this weekend and tip our hats to the gentlemen at OGP, NORCAL BP and Pongstars for putting on yet another great pong event! 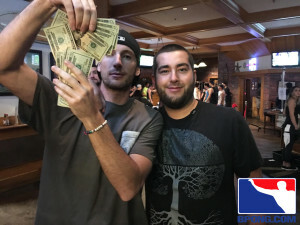 Stay tuned for updates, articles and important information about the $40,000 East Coast Beer Pong Championships going down January 28th – 31st, 2015 at Resorts Casino & Hotel in Atlantic City, New Jersey!! 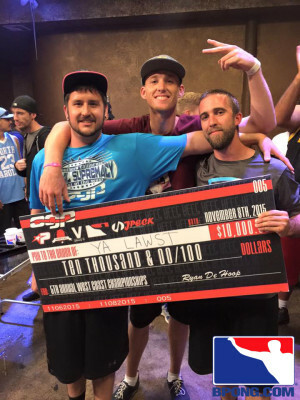 For more information about the West Coast Championships, East Coast Beer Pong Championships, The World Series of Beer Pong or any of our/our affiliated events, please reach out to us at [email protected]!